Land Only Tour Price, per person based on double occupancy: $3,199. For Single Room, Add - $875. 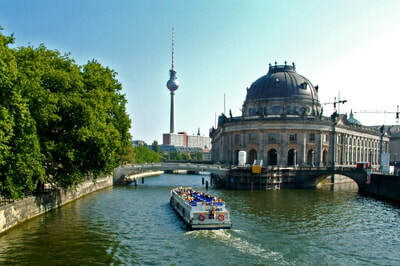 Thu., Jun 06–Hamburg/Berlin: Enroute to Berlin, visit the Prussian jewel of Potsdam with its harmonious landscape of parks and palaces. Our tour will enjoy the highlights of the old city center and the grounds of Sanssouci Palace with its water fountains before we continue on to Berlin. Lunch is included as a tour service. Abba Berlin​ Hotel accommodations, including daily breakfasts. Sun., Jun 09 - Berlin/Dresden: Morning departure for your trip to Dresden. 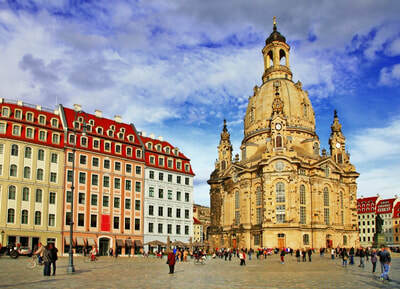 Enjoy a tour of this delightfully Baroque city, reborn from the ashes of World War II. Its star is the inspiring Frauenkirche, destroyed in the firestorms of 1945 and rebuilt with donations from around the world. Tour includes a visit to Zwinger Palace. Lunch is included as a tour service. Hotel Radisson Blu Parkhotel accommodations, including daily breakfasts. Mon., Jun 10– Dresden/Prague: Today we continue south to the Czech Republic, stopping in the fortified town of Terezín, a fortress built by the Enlightenment ruler Josef II which was converted into a Jewish ghetto and concentration camp in 1941. Lunch is included as a tour service. Upon arrival in Prague the balance of your afternoon is free Hotel Barcelo Old Town accommodations, including daily breakfasts. Tue., Jun 11– Prague: Morning walking tour including the Old Town Square, the Jewish Quarter and the old-new Synagogue. Afternoon free for your own pursuits. Wed., Jun 12– Prague: Morning sightseeing including a walk in the the Prague Castle complex, St. Vitus and the Golden Lane. From Prague Castle, we drive to the picturesque Vltava River, and cross over into the Old Town to discover the origins of one of the best preserved medieval cities. Balance of the afternoon is free for exploration. Thu., Jun 13- Prague/Vienna: Full day sightseeing enroute to Vienna including a stop and visit centuries-old town of Český Krumlov and it's castle. Lunch is included as tour service. Hotel AT Savoyen Vienna accommodations, including daily breakfasts. Sat., Jun 15 – Vienna: This morning continue our tour of Vienna with a visit to the historic state-rooms of the Schonbrunn Palace, the former imperial summer residence. Take a stroll through the palace gardens before we continue on to the Belvedere Palace, home to Prince Eugene of Savoy and stroll around the beautifully landscaped garden. Afternoon free for personal enjoyment. Typical Heuriger dinner in the Grinzing wine growing region of Vienna is included as a tour service. 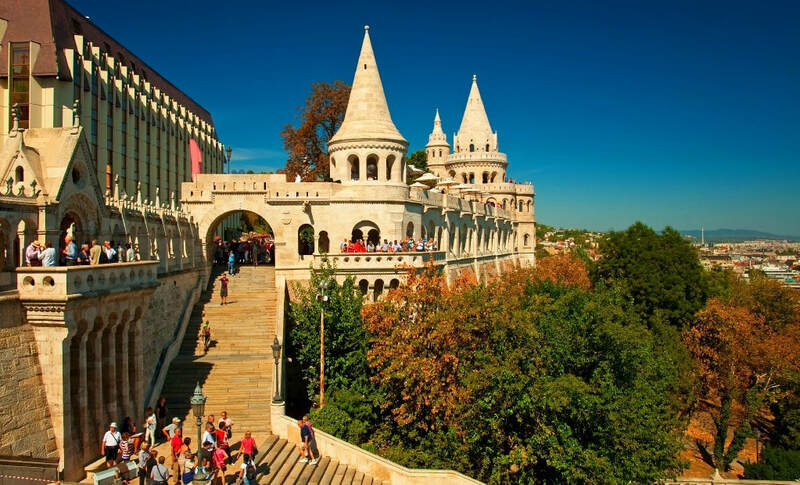 Sun., Jun 16 – Vienna/Budapest: Vienna to Budapest via the scenic Danube Bend​. Enroute stop in the town of Visegrad, known best for its medieval citadel. We will have a walking tour of Szentendre featuring charming squares, cobblestone streets, Serb temples and Baroque architecture. Lunch in included as a tour service before you arrive in Budapest. Hotel Mercure City Center accommodations, including daily breakfasts.